All my Christmas decorations have been taken down and stowed away. 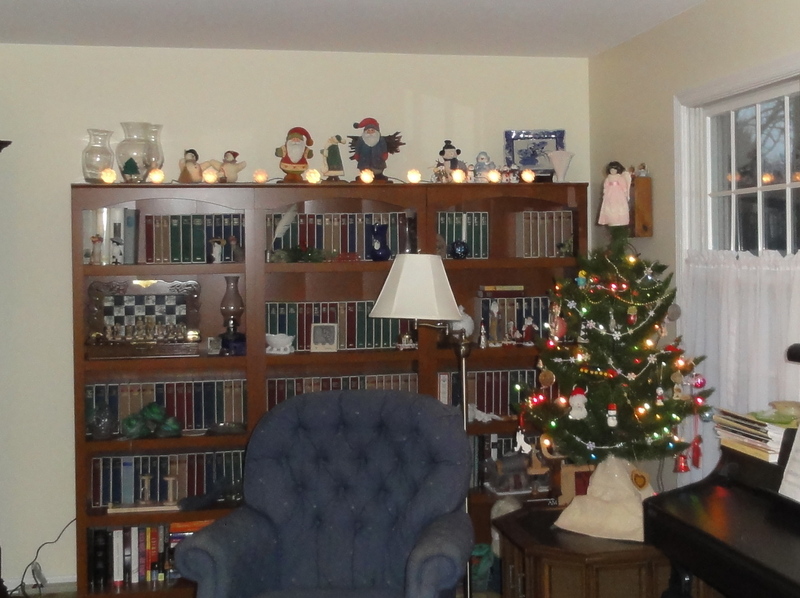 I hadn’t decorated for the holidays in several years, and I hadn’t put up a tree in maybe a decade, but for some reason this year I got the Christmas decorating bug. It might have had something to do with the fact that the DH and I (mostly the DH) tidied up and organized the basement and moved stuff from assorted cardboard boxes to clear plastic bins that are stored on metal shelving units. Now everything is easy to get to, and easy to find, too, because you can see what is in the storage bin. Here’s the result of holiday spirit. I have a sentimental attachment to this little tree. The DH and I bought it the first Christmas we were married, way back in 1973. 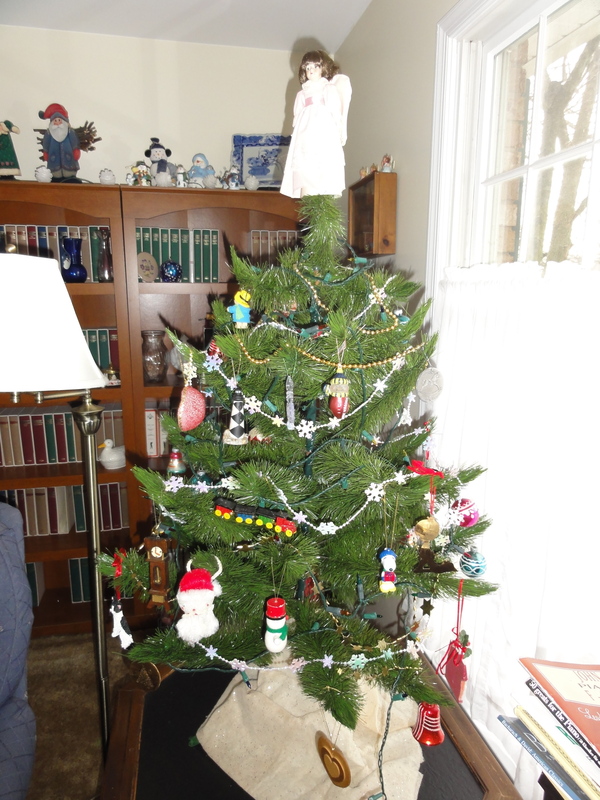 We bought it at the Hill’s in Morgantown, West Virginia, along with decorations for it, some of which are on the tree. We used this little tree for five or six years before we bought a 6-foot tree, and then this little tree went to Greg’s office where it was used until he retired. It then found its way to the rafter of our garage where it sat in its original box until we reorganized the stuff in the garage. Now it has a home on a shelf in the garage where it is easily accessible. To be honest, I had no idea we still had this tree until we were rearranging things in the garage. Right after Thanksgiving, I went out to the garage to look for some knitting-related stuff I have stored out there, and I saw the Christmas tree box on the shelf. Before I knew what was happening, I had set it up and decorated it. Greg was surprised because it had been such a long time since I had put up a tree. But he wasn’t nearly as surprised as I was. What?!?!?!? I put up a Christmas tree?!?!?!? It seemed like a good idea at the time. 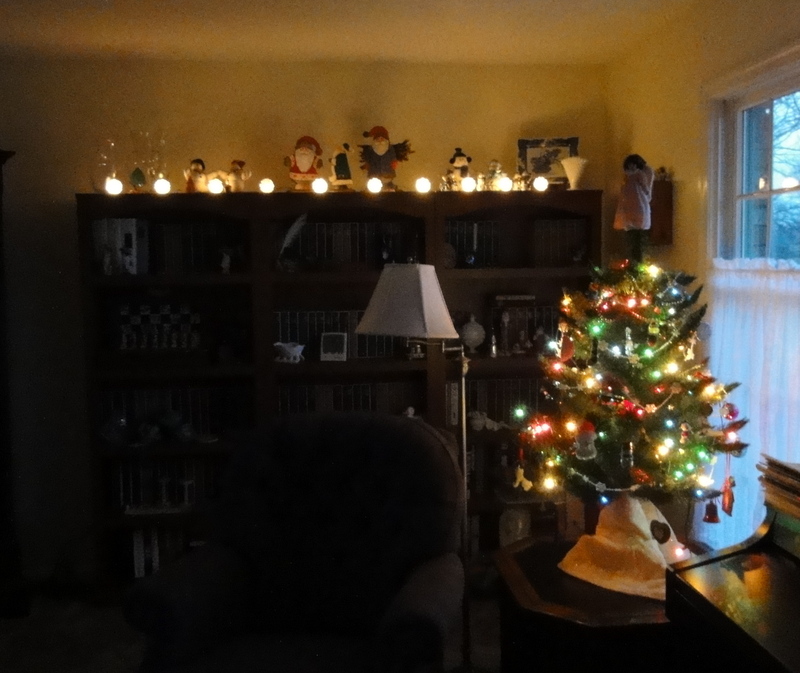 Anyway, Greg and I both enjoyed the tree, and the other decorations as well, but I soon was tired of them and I was happy to take everything down when New Year’s Day arrived. I’ll probably do it again next year, but I won’t do it so soon after Thanksgiving. Maybe a couple of weeks before Christmas would be better. We don’t put up a tree either. We just enjoy the trees at other people’s houses. Plus the cats would eat it, climb it, and drink the water.